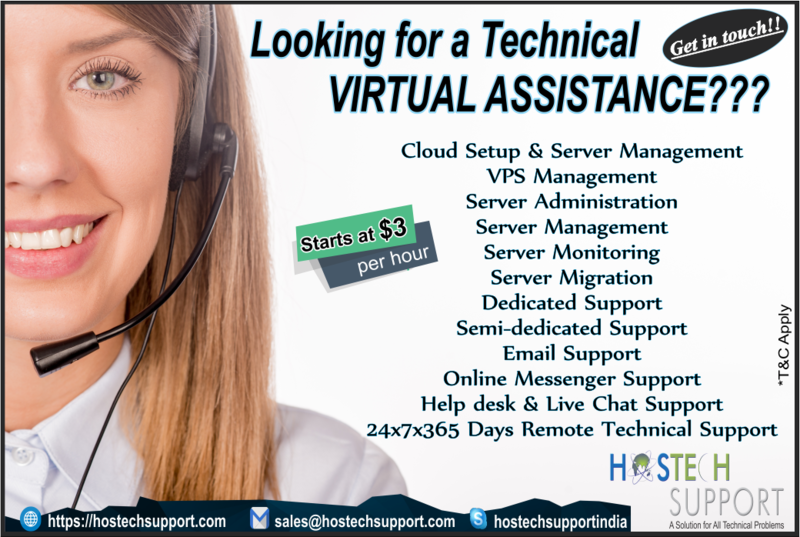 Glad to share that Hostechsupport is announcing Virtual assistance services at very reasonable costs..starting only 3 USD/hr!!! Do you want to Handle tasks with a lightning speed?? ?Need to get your job done before time??? Looking for a ‘Trusted Virtual Assistant’ to reduce your workload??? We can assist you to ease your tasks & lessen your workloads which are very reasonably priced. We deliver VA services that are suitable to all the start-ups, small, medium as well as large scale businesses across the globe. So, set back and relax, we can assist you 24×7 for Remote Technical Support to add a new dimension to your business, keeping everything sorted, updated and organized.. Author adminPosted on September 18, 2018 September 18, 2018 Categories Technical Virtual AssistanceTags 24/7 Live chat assistance, Technical assistance, Virtual AssistanceLeave a comment on Glad to share that Hostechsupport is announcing Virtual assistance services at very reasonable costs..starting only 3 USD/hr!!! 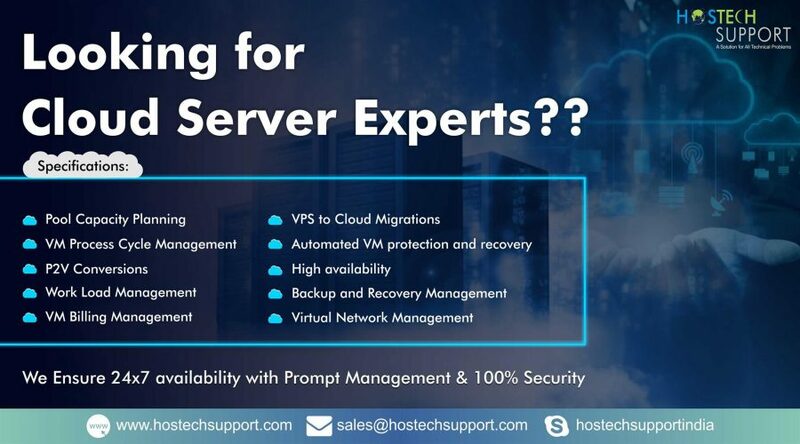 Looking for a Dedicated Support for your Servers? Worry No more!!! Simply Pay for 30 days & get 60 days of 24×7 Remote Dedicated Support!!! Author adminPosted on September 7, 2018 September 7, 2018 Categories Dedicated Support Plan, Promotional OffersTags #Dedicated SupportPlan, 24/7 Live chat assistance, 24/7 remote technical support, 24x7x365 Days Unlimited Messenger Support, server management, Server MonitoringLeave a comment on Looking for a Dedicated Support for your Servers? Worry No more!!! We’re Glad & Happy to Assist 24x7x365 days Remote Technical Support to our Clients at HostechSupport!!! Author adminPosted on June 27, 2018 July 20, 2018 Categories Promotional Offers, Semi-Dedicated Support plansTags 24/7 Live chat assistance, 24x7x365 Days Unlimited Messenger Support, 30% OFF on Support Plans, Server Administration, server management, Server MonitoringLeave a comment on We’re Glad & Happy to Assist 24x7x365 days Remote Technical Support to our Clients at HostechSupport!!! HostechSupport is here!! We can hеlр уоu to ease your tasks & release from regular workloads at the most Affordable rates. We have a proficient & talented team of professionals who can readily manage any kind of administrative work. Author adminPosted on July 11, 2017 July 15, 2017 Categories AnnouncementsTags 24/7 Live chat assistance, 24/7 technical support, Cloud server management, Dedicated server management, server management, VPS managementLeave a comment on New Server Management Plans..